elcome to the Modeler's Bookstore! Here is your one stop online shopping plaza for modeling reference books, model kits, R/C models, model trains, and precision tools. 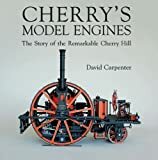 The bookstore currently featured a collection of over 2000 hand picked books which virtually covered every model making topic and collecting guide. It not only fully utilized the Amazon Web Service to provide vast information of each book but also enhanced with Google Preview, which allows you to freely browse partial contents of many books to decide whether they are useful to you or worth to buy. So please take your time shop around, and Happy Modeling!